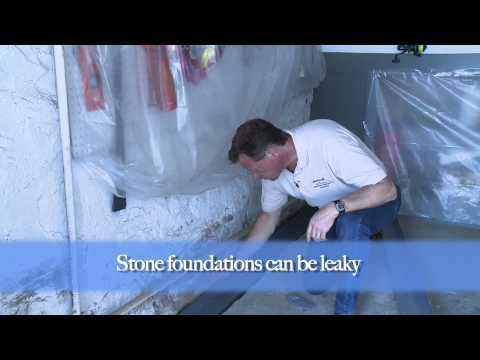 Here at Connecticut Basement Systems, basement waterproofing is our specialty. Since 1987, we've fixed thousands of leaky, wet, damp and musty basements in Connecticut. We've built a strong reputation in Connecticut for being the best waterproofing company and we always strive to be better than the rest. We help keep basements dry using our own quality, patented products, such as the TripleSafe sump pump, WaterGuard drainage system and SaniDry dehumidifier. Our waterproofing systems are installed by certified specialists and come with a transferable, lifetime warranty. If you have a water problem in your basement in Stamford, Norwalk, West Hartford or the nearby areas, we can help. Call us or click below to request a no-obligation inspection and free estimate today. We want to help you make your basement dry all the time! Besides being the trusted waterproofing company in Connecticut, we're also the parent company of the largest network of basement waterproofing contractors. Our products have been installed in hundreds of thousands of basements and crawl spaces throughout North America. With no lasting waterproofing solutions available, we decided to develop our own, and created a line of patented basement products. Our tested, proven, award-winning products come with transferable warranties, ensuring your home is protected year after year. Your damp or wet basement can cause more than just a headache; these issues can create bigger problems like mold, mildew, rot, structural damage, and a variety of health problems. If you think you have a basement waterproofing problem, request a free basement inspection and estimate today. Your certified specialist will find the source of the problem and provide an estimate for the best repairs for your home. Connecticut Basement Systems offers complete basement waterproofing services in Stamford, Norwalk, West Hartford, Greenwich, Fairfield, Hamden, Milford, Trumbull, Darien, New Canaan and throughout the surrounding areas.